SAO PAULO /PRNewswire/ -- Embraer announced today a firm order of six A-29 Super Tucano light attack and advanced training aircraft for the Philippine Air Force (PAF). After a comprehensive public bidding process participated by several manufacturers from around the globe and complying with the stringent evaluation processes the Super Tucano was selected as part of the PAF's ongoing modernization plan. The aircraft will be deployed for close air support, light attack, surveillance, air-to-air interception, and counterinsurgency missions. Deliveries will start in 2019. "We are honored to be selected by the Philippine Air Force, our second operator in the Asia-Pacific region, and with the confidence expressed by our customer", said Jackson Schneider, president and CEO of Embraer Defense & Security. 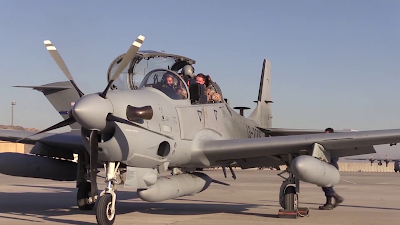 "The Super Tucano is the best light attack aircraft in the market and we are confident that it will accomplish with excellence the missions it was selected for". The A-29 Super Tucano is a durable, versatile and powerful turboprop aircraft capable of carrying out a wide range of missions, even operating from unimproved runways. To date, the Super Tucano was selected by 14 air forces worldwide. Once the delivery of these aircraft is completed, they will be turned over to and maintained by the 15th Strike Wing, the PAF's end-user. SHAH ALAM: SPH Delayed. The plan to buy the M109 SPH for the Army has been deferred due to the current budget crunch. The timing for the purchase remained uncertain and will depend on the final approval of the government, Army chief Jen Zulkiple Kassim said in an interview ahead of the 84th anniversary of the Tentera Darat today (March 1, 2017). Gw inget pak Zulkipli ini yg jadi lawannya mas Dein..
Mas Dein bilang Malaysia gak usah ikutan AARM karena cuma dapet medali plastik, pak Zulkipli bilang "Kita yakin bisa jadi juara AARM tahun ini karena persiapan yg matang apalagi tahun depan Malaysia akan jadi tuan rumah AARM 2018"
Delayed not cancelled. That news was early this year and this project is good to go. Come on dont post obsolete post here. Get the updated news instead. Lol chill bro. No need to burthurt so much. No need to use bad words here. Only shows you true value even more lol. Oh btw our acquisition still in progress not stopping. There is different. Current situation making us become more careful on expenditure and think creatively. dia gak bilang kensel kok. dia bilang sesuai brita diatas delayed. tiada kata pembatalan ituw. coba dech liat lg, ada kata kensel itu gak di tulisan dia. guwe mau tau? ada siyap2 ahhh...tung tung tung🔨🔨🔨haha! Daripada sibuk membully kami kenapa gak beli cermin buat ngaca mas ? Who bullying you guys bro. Look who commented on marky's comment first lol. We are defending your troll with facts. Our tight budget is normal but the acquisition will be made eventually eventho it might take years. The hardwares that we plan to acquire normally is at state the art one rather than the basic thing. bro superstar siapa membuli...??? tiada siapa membuli cuma cuba anda baca selepas komen anda...??? adakah anda rasa itu bukan komen berbentuk troll memancing... "Embraer and KAI with a succesfull T 50 sales in ASEAN. Except for a AKAN COUNTRY wkwkwk land"..anda rasa ni ayat apa...??? Lol start acting like one? Leo rabun,t50 golden eagle rabun,sukhoi ompong tanpa senjata dan pod,f16 ketinggalan dan basic sukhoi 27/30 tidak diupgrade,kri tidak bolwh belayar,PKR tiada misil..alamak..macam mana tu..
eiittt guwe gemen nich ktemu ginian haha! tentra delay, leo rabun tak mungking haha! katanya formiler masak gak tau jeroan leopard sich haha! smua leopard 2 di duniya & akherat itu uda dilengkapi PERI-R 17.
bedanya ama leopard 2a4 ama leopard RI, leo ri punya driver night vision camera, 2 biji depan/belakang. Percuma mas... gak bakalan dibuka linknya... nanti besok2 bakalan dikeluarin lagi statementnya "Leo Rabun, Kasel gak bisa nyelem, Akan beli apache dan su35, CN235 jelek, MRSS jelek dll"
tentra delay, kapal selam ente pon paling buncit tak nambah diantara bertiga ama si upil haha!ee tanya knp? Lol thats the dumbest comparison ever made. Our trend of acquisition is based on what we think best for us, not following neighbours'. We dont need LPD, LST, kapal komando (what on earth is that), kapal tiang tinggi yang baru (oh my), millenium gun (whattt) and so on. We has our own wishlist and not being intimidated by our neighbours. Plus like Gempurwira said, we managed to purchased /obtained A400M brand new tactical lifter, LCS Gowind, Tracked SPH, LMS, Gempita, Light Attack Heli etc2. Still think we dont have anything new? Lol so sad. ohh om gempur disitu guwe kan guwe tulis alutsista/barang yg spesifik. dan tulisan diatas khusus buat om tentra delay, bukan yu kok jgn mara yach haha! masa om gempur mao guwe blng gak py tivi segala haha! Like i said. Out trend is based on what we think best for us. It means not necessarily you have LPD we must have them too. wahh guwe gak liat ada satu lagi rupanyo haha! eh guwe gak ngemenk ama luh juge om unknown haha! The more you comment the more dumb you look like. The reason i using English is because we both understand easier compare we both commenting in our own language. I dont understand what you mentioned here basically. Thats why i write it down in English. One RMAF Hawk enough to wipe the entire fleet of Indon TNI AU Supar Tucano!! WASHINGTON, Nov. 17, 2011 – The Defense Security Cooperation Agency notified Congress Nov. 16 of a possible Foreign Military Sale to the Government of Indonesia for the regeneration and upgrade of 24 F-16C/D Block 25 aircraft and associated equipment, parts, training and logistical support for an estimated cost of $750 million. Implementation of this proposed sale will not require the assignment of any additional U.S. Government or contractor representatives to Indonesia. INDONESIA HAS formally requested the purchase of 24 refurbished F-16C/D Block 25 aircraft from the US Government. The acquisition and regeneration of Excess Defense Articles (EDA) F-16s provides Indonesia with a much needed capability to protect its sovereign airspace and represents the largest transfer of defense articles in the history of the U.S.-Indonesia bilateral relationship – a signal of the growing commitment to regional security under the bilateral Comprehensive Partnership. 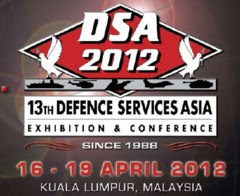 The Government of Indonesia has chosen to improve its internal air defense capability through the upgrade and regeneration of Excess Defense Articles (EDA) USAF F-16 Block 25 aircraft provided to the Government of Indonesia via a grant approved in August 2011. Indonesia currently has a fleet of 10 F-16 A/B Block 15 aircraft. The acquisition and regeneration of 24 F-16 C/D aircraft via EDA allows the Government of Indonesia to significantly bolster air defense capacity without compromising the defense budget and other national priorities. The Government of Indonesia requested a total of 30 aircraft, with 24 F-16 Block 25 aircraft for regeneration, and four F-16 Block 25 and two F-16 Block 15 aircraft for use as spare parts. Included in the grant was a request for 28 Pratt and Whitney engines. Indonesia has allocated funding for the regeneration of the 24 F-16s and overhaul of 28 engines. The Department of Defense is currently working with the Indonesian Ministry of Defense to develop a Letter of Offer and Acceptance (LOA) for the regeneration of 24 F-16 Block 25 aircraft while awaiting completion of the final required Congressional Notification. The Congressional Notification is expected to be complete and the LOA ready to be signed in early 2012. 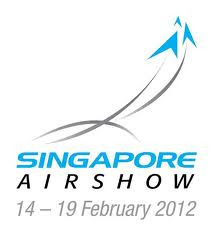 The United States Government is working to begin delivery of aircraft by July 2014, as requested by the Government of Indonesia. At the conclusion of the regeneration Indonesia will possess a fleet of 24 F-16 aircraft updated with the most advanced Modular Mission Computer (MMC) produced by Raytheon. The aircraft will also have vastly improved radar, avionics, and the capability to carry and field more advanced weaponry and sensors. Additionally, a minimum of thirty pilots will receive F-16 differences training in the United States, and mobile training teams from the United States will train Indonesian aircraft maintainers. kerana itu saya bertanya block 25 or block 52...??? Two modernized F-16 jet fighters granted from the United States have arrived at the Iswahjudi Air Force Base in Magetan, East Java, on Monday. The two F-16 C/D 52ID fighter jets are a portion of the 24 aircraft the US government granted to Indonesia, which has received 14 aircraft until now. "The two fighter planes were part of 24 units of F-16 fighter aircraft in the program of "Peace Bima Sena II" under the contract of FMS LOA ID-D-SAL between Indonesia and the United States," Chief of staff of Air Force Operation Command II, Air Vice Marshal Donny Ermawan said. The fighter jets, already upgraded from Block 25 to Block 52 arrived in Iswahjudi Airport, Magetan Monday, Netral News reported today. The upgrade includes structural modifications to extend the service time and engine overhaul. The two jet fighters have tail number of TS-1622 and TS16-38, and a part of 24 jet fighters to be granted by the US to the Indonesian government in line with the "Peace Bima Sena II" project. Currently, there are sixteen F-16 jet fighters in Indonesian Air Force. By the end of 2017, all of the aircraft as grant would arrive in the country. The aircraft will strengthen the Air Squadron 3 of Iswahjudi air force base of Magetan and Air Squadron 16 in the Roesmin Nurjadin air force base of Pekanbaru. Come on structural upgrade and engine overhaul? Please be more spesific. Is there any new helmet or missiles? Is there any new radar installed? Is there any pod purchased? The order has a value of $750 million. The order also includes a number of SNIPER or LITENING pods. Finally it became clear that these F-16s were upgraded with a toned-down version of the CCIP upgrade package including the latest MMC-7000 mission computer and M5 software package which makes these airframes more or less block 50/52 equal. itu equal artinya setara bukan? Gempur otak kau ini memang setaraf beruk hehehe.. Block 25 hibah kemudian diupgrade dg bujet 750 jt dollar menjadi setaraf blok 52. Kita tak pernah beli F16 blok 52 baru. Kau pintar2 lah pahami document tuh. Makanya ketika F16 tuh datang disebut F16 C/D 52ID artinya sudah diupgrade setara blok 52 versi utk Indonesia/ID. setara om gempur, kan mesin + radar masih bawaan blok 25, begituchu. betul yg dikatakan om joni, kami tak beli pesawat f16 baru. jd pasti ada perbedaan. Wes tho mas.. sampiyan bilangin berulang ulang juga gak bakalan percaya beliau mas.. spt mr unknown bilang "Senjata kami adalah sesuai kebutuhan kami".. lha TNI AU punya Tucano kenapa konco2ne mas unknown podo ngurusi Tucano karo nyeluk Tucano pesawat jelek (ada komennya mereka di defense news sebelumnya). So What ???.. Mind Your Own Bussiness..
Is 8 hornet gonna be superior againts 24 - 48 F16 52 ? I dont know. Tapi kalo SU35 AKAN project jelas lebih superior dari SU30. Coba d buka link yg gua kasih ..link resmi info pengguna f16 seluruh dunia..
Pembelian senjata f16 indonesia jga d jelaskan..
Look bro, firstly imo tucano is fine fighter. The plane itself is designed for COIN warfare rather than conventional type. Why TNI-AU picked that plane? Only your commander can tell and suitable for your own good. Our airforce have different idea on what we want to defend our country and to dealt with any threat coming. 8 vs 48. Of course quantity will win but look again at your overall strategy. Is your country is a offensive force or defensive force? 8 nos is insufficient for us and we have tried our best to increase our nos. But looking at your nos too, do you think you be able to launch offensive attack? I have to say none of countries in SEA have that ability. We are defensive force please bear in mind. And our SU-30, they are different level. Sok2an kuantiti..boot songlab bekas dari japan yg seharusnya pensiun d bli jugak..
Hahaha ngakak betapa pinternya si malon..
Maka cina dan india tak perlu belih su35 mending beli su30mkm..
Dan gk perlu antri beli su35 mending beli su 30mkm..
Why India has to buy SU35 then if their MKI more or less like SU35. Plus they are planning to upgrade MKI into Super Sukhoi. Furthermore, they already has joint venture to build FGFA fighter with Russia. FYI, India planning to buy alot of fighter not because they are having less fighter but they have issue with old and ageing fighter that need to be replace urgently. Thats why they have programme like M-MRCA, single engine fighter turned double engine fighter etc etc. China on the other hand only purchased 24 nos of SU35 and most of their MKK is not so start of art fighter. Why the quantity so low? You tell me. Plus they are focusing on developing 5th Gen fighter on their own. Indon and another AKAN BELI project!! Chinese made getting better and better. Owh like you never used theirs before. Yeah we buy some of the weapon made in china like c 802 missile and we regret it. 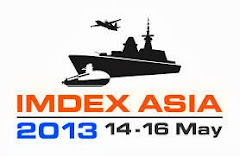 But we never buy a substantial and main weapon from chinese such as war ship or main battle tank. Unknown... in the past (5 years ago) when we acquired sum chinese wargears your people keep trollin us, tellin we' re such a jerk and poor country. Stupid and moron when choosin chinese toys considerin our tight budget. Time passes by, now your country doin the same thing like we did. So what you say ? Are you now pretending chinese warfares is the good one for now while inda past you told us only stupid country choose chinese stuffs for their weaponry armaments. In the past they have lack in terms of quality. Nowadays their quality are getting better and at par with western standard. All depends on money. If you have extra money to spend, you can choose higher quality of their products. Why we choose Chinese product? We dont depends on single country. They are one of superpower country in the world now. They are being aggresive in this region for some reason. They are old quote saying if you cant against them, then join them instead. But we are more like be friends with them. Ah since when we admit we are the strongest or the best? Only in your imagination i guess lol. Conclusion - most of your comment are basically love to condemn and downgrading us. Thats you do best. turunin donk pasukan emak2nya om smilik haha! Yup..article lama..tp lihat penganalisis punya visi...memandang ke hadapan..ada logika..dia membandingkan kekuatan ibarat 10 tahun akan dtg..
Untuk memahami strategi pertahanan negara, selain persepsi dan skala ancaman, perlu juga dijabarkan apa saja konsep mendasar yang menjadi landasan dalam merancang sistem pertahanan negara. Konsep utama dan paling penting adalah pemahaman akan perang. Untuk perang udara yang menjadi salah satu ikon kekuatan utama perang masa depan, kekuatan pertahanan udara akan terletak juga pada kemampuan pengendalian udara yang mencakup: Supremasi udara (air supremacy) yaitu keadaan yang didefinisikan sebagai tingkat superioritas suatu angkatan udara di mana lawan tidak mampu mengintervensi secara efektif. Keunggulan udara (air superiority) yaitu keadaan yang didefinisikan sebagai tingkat dominasi oleh suatu angkatan udara untuk dapat melakukan operasi darat,laut,dan udara tanpa dapat dicegah. Terakhir, keadaan udara yang menguntungkan (favorable air situation) di mana situasi pertahanan udara masih sangat terbatas oleh ruang dan waktu sehingga dimungkinkan terjadi intervensi udara oleh musuh. Operasi pertahanan udara (hanud) terbagi atas hanud aktif dan pasif. Hanud aktif mencakup langkah-langkah seperti penggunaan pesawat, senjata langsung, dan tidak langsung pertahanan udara dan peperangan elektronik. Kegiatan dalam operasi ini meliputi deteksi (elektronis dan visual), identifikasi (elektronis, korelasi,dan visual),dan penindakan (pesawat tempur sergap,rudal jarak sedang,dan rudal taktis) terhadap ancaman kekuatan musuh. Hanud pasif mencakup semua tindakan selain pertahanan udara aktif, yang diambil untuk meminimalkan efektivitas tindakan musuh dan ancaman rudal.Termasuk antara lain kamuflase, persembunyian, penipuan, pemulihan, deteksi, sistem peringatan, serta penggunaan konstruksi pelindung. Dalam konteks ini, skala ancaman menjadi logika utama bagi pembangunan postur pertahanan udara yang sesuai dengan kondisi terkini untuk mengidentifikasi strategi penangkalan yang efektif dimana di dalamnya organisasi TNI, personel, dan kapabilitas alutsista berada. Ketiga komponen mendasar dalam postur pertahanan inilah yang akan menentukan sejauh mana negara siap melindungi segenap wilayahnya. Komponen alutsista dalam konteks ini menjadi faktor utama bagi kedua komponen lainnya. Karena itu,persoalan alutsista bukanlah persoalan yang mudah. Isu seputar transparansi anggaran hanyalah porsi kecil dari kompleksitas pengadaan alutsista. Ketika anggaran selalu menjadi fokus utama, masalah perencanaan kebutuhan alutsista yang sebetulnya menjadi sumber dari permasalahan sering menjadi terabaikan. (3) JAS-39 Gripen yang dibekali radar PS-05/A dengan kemampuan mencari 160 mil laut; (4) SU-30 MKI yang dibekali NIIP N011M Bars dengan kemampuan mencari 173 mil laut. Jarak jangkau radar pesawat hibah kelak, jika dihadapkan terhadap pesawat negara kawasan, hanya akan mampu menangkap target di jarak 80 mil laut. Padahal, pesawat negara kawasan seperti F-16 D+ Block 52, JAS-39 Gripen,dan SU-30 MKI sudah mampu menangkap target sejak di jarak 160 Nm – 173Nm. Ditambah dengan teknologi IFF (Identification Friend or Foe) yang dimilikinya barisan pesawat kawasan telah memiliki interrogator sehingga apa yang tertampil di radar akan langsung terbaca sebagai lawan atau kawan. Keadaan ini menjadi lebih rumit di masa perang jika suatu hari tanpa terduga negara kita dihadapkan pada seranganudara. Jika kita asumsikan pesawatpesawat musuh adalah F-16 D+ Block 52, JAS-39 Gripen,dan SU-30 MKI, selain sudah menangkap target sejak di 160-173 mil laut, mereka dapat mengaktifkan kemampuan ECCM/ anti jamming, melaksanakan mekanisme notching. Hal ini akan dilakukan pesawat musuh untuk mencegah radar pesawat hibah menangkap posisi mereka hingga bisa lepas dari jarak tembak efektif misil Amraam atau R27RI di 40-45 mil laut. Permasalahan lain, 24 pesawat hibah kita yang terdiri atas double seater dan single seater rata-rata sudah mencapai usia 6.500 jam terbang sehingga yang akan tersisa hanya +1500 jam terbang. Mengingat time line delivery pesawat hibah kita pada 2014,ini akan menjadikan pesawat hibah hanya dapat digunakan +10 jam/bulan agar bisa digunakan hingga 2024, saat pesawat tersebut siap digantikan oleh pesawat tempur KFX kerja sama kita dengan Korea. Jumlah penggunaan jam tersebut sulit diwujudkan karena fungsi pesawat tempur kita memiliki tugas rangkap, baik sebagai pesawat latih, pesawat pengamanan, maupun sebagai pesawat pertahanan udara. Artinya, usia pesawat hibah akan lebih pendek dari 10 tahun dan akan terdapat jeda kekosongan kekuatan pertahanan udara kita antara usainya waktu penggunaan pesawat hibah dan datangnya pesawat KFX. Kemampuan untuk mengidentifikasi sisi kelemahan pertahanan udara kita terhadap ancaman merupakan langkah awal yang strategis dalam membangun kekuatan sistempertahanan dan postur. Mengingat persoalan kepentingan nasional tidak mengenal istilah KNM (Kepentingan Nasional Minimum), penetapan Minimum Essential Force (MEF) haruslah turun dari logika pembangunan pertahanan negara yang didasarkan pada identifikasi ancaman terhadap kepentingan nasional yang harus tetap terjaga. Karena itu, ukuran akan perubahan geopolitik kawasan, spektrum ancaman, kuantitas alutsista yang berkualitas, dan perimbangan kekuatan relatif menjadi hal terpenting yang harus digaris bawahi.Bukankah lebih baik kita memiliki lebih sedikit pesawat tempur yang memiliki kualitas perimbangan daya tempur relatif terhadap kekuatan udara kawasan dibandingkan mengedepankan kuantitas dengan segala keterbatasannya? Teringat kata2 seorang commander airforce israel dlm satu dokumentari'dlm perperangan moden, sebuah pespur yg mempunyai teknologi terkini dan lengkap bisa mengalahkan/menembak jatuh 4-5 pespur yg gak mempunyai teknologi mumpuni". Jadi Hornet lebih unggul yah bro ? Siaap. Kalau baca panduan standar squadron yg biasa dipakai di kesatuan tugas adalah satu squadron umumnya asumsinya 40 persen sedang grounded atau perawatan, yg siap terbang tapi gak full sehat biasanya 30 persen, yg full sehat ready to fighht biasanya sisanya 30 persen. Hitungan kasar tsb biasanya dipakai di semua kesatuan udara secara normal. Malaysia mengoperasikan 8 unit hornet (ini satu squadron kah ?) Dgn persentase angka tadi diatas berapa kira2 30 persen dibagi 8 unit untuk pesawat yg ready to fight ? Yakinkah Hornet TUDM semuanya sehat kondisinya ? Adakah kemalangan akhir2 ini dari segi teknis ? Yup masih euphoria punya alutsista tercanggih se kawasan padahal gak banyak juga unitnya lho ? Saat euphoria masih tersisa mereka jadi kaget ternyata negara AKAN yg bernama Indonesia ini bisa beli Ratusan Leopard, Bikin kapal sigma, pesen kasel, Apache, tambahan 24 F16 blok 52 dan pesen lagi SU35. Tengok lah kau su 30 mki hanya beberapa sahaja yang layak terbang,begitu juga dengan f 18 kau tak semua nya ready untuk flight, di perparah dengan mig 29 yang sudah di grounded karna takde suku cadang..
bagi sumber bro Rifki... mana dapat sumber tu...??? Come on guys, we are talking about fact. Not something we pluck from sky. Only 26 plane operates from both F18 and SU. Considerin 30 or 40 percent readiness, i assume among 10 or 13 planes ready to fight. F18nya cmn ada 9bijik ..
hey tentra delay, nich baca, radar f16 blok 25 itu an/apg 68(V). 1.Greater range – The AN/APG-68 engages targets at greater ranges, up to 184 miles, and with more accuracy than legacy radars. 2.More reliability – The AN/APG-68 has a mean time between failure (MTBF) of more than 200 hours, reducing ownership costs. 3.Compatibility with LANTIRN pods – The AN/APG-68 enabled the use of Low-Altitude Navigation and Targeting Infrared for Night (LANTIRN) system, increasing combat effectiveness of the F-16 by enabling low altitude flying at night or under-the-weather. 4.High-resolution mapping and target detection recognition – the look-down mode uses a medium doppler waveform and signal processing that improves target detection, even with heavy clutter. 5.25 operating modes – the additional operating modes include ground mapping, ground moving target mode, specialist ship mode for maritime operations, and track-while-scan of up to 10 targets simultaneously. 6.Ground mapping – The AN/APG-68 has Synthetic aperture radar (SAR) capabilities, which enables high resolution ground mapping for the F-16 to become a day or night, all-weather, precision strike aircraft. 7.Improved weapons systems – The AN/APG-68 enabled the F-16 to become even more formidable due to its compatibility with newer air-to-air and ground attack missiles, including Global Positioning System (GPS)-aided precision weapons. Lah kan uda ini nich ada mao sikat : 28 F100-PW-200 or F100-PW-220E engines being granted as Excess Defense Articles. salam buat menhan bumi datar yach, ditunggu awewenya haha! Lol like i said China is one of superpower in the world. None of us have the ability to stop them if they start the war. But are live in the world bro? Why on earth they want to against us anyway? Oh btw where you got the figure? Just pluck from sky and then there you go, just assume only 10 of out aircraft are ready to go to combat is it? Maintenance is normal but our readiness is priority. The number? Only our airforce know about it. I dont know. You dont know either. All you can say now is based on your assumption. If China / PRC start the war, then other superpowers will join the war. So, it is not so simple to say PRC is everything. About the war, Vietnam has seen the war with superpower (US), Indonesia has seen with British (battle of Surabaya), etc. If talk about fighter aircraft just stick into it. It is difficult to stay objective and clear in the head, brothers? Please, all of you (Indonesians, Malaysians, etc). rrc super pawa? mereka bahkan tak berani merebut si imut taiwan haha! cuman brani ambil batu kosong di laut sepiii, gegara vietnam duluan nge tek haha! Week end, udah gajian, isi kuota full..
Yup, saatnya berkoar, melepas penat..
- Pelayanan CS 24/7 Untuk Melayani Member Deposit/WD Serta Keluhan-Keluhan Member lho. Oh admin. Are you blind? That are so many comments posted on something not related to military like gambling stuffs. Please be more proactive dude. Why you want to take away our land? Lol dont wish something stupid. malon otak bebal.. suka'y ngetroll & Ngetroll. DPO bu susi, Mau d tenggelamin. biar tengkorak'y jd rumpon. Sama la ngan budak budak indon.. dia yg mulakan dulu.. bila kena maki berjemaah mula la nak jadi gila... bermula dgn saat ini aku gelarkan rendy prabu alias anjing rp ye...keh keh keh..
Lol since when we troll you guys?